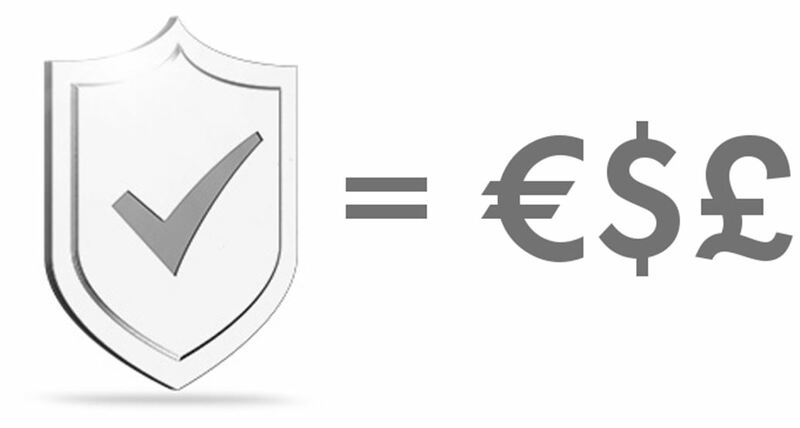 In the following blog, we take you through a short example to illustrate how much SMA’s new free Smart Connected service package is worth to an end customer. One of the many benefits of SMA inverters, is their total quality and reliability. Whenever an inverter ceases to operate correctly, it results in increased costs for the system owner. Recognising that even the highest quality inverters might experience problems, SMA decided to introduce a new free service package, Smart Connected. Initially released with the new Sunny Boy 3.0-5.0, Smart Connected is designed to identify and correct problems with the inverter in a more efficient way, thanks to SMA Service taking over the active monitoring of the system. But understanding what this new service is worth to an end customer can be a little bit tricky, so we put together a short example to help you understand the financial value of Smart Connected. Let’s compare 2 solar systems, one is a standard system with a normal warranty, and the other is an SMA inverter system with Smart Connected. Both systems have identical installation and performance, and have identical self-consumption ratios. Now let’s assume that for some reason the inverter stops working on the first day of the new billing cycle. 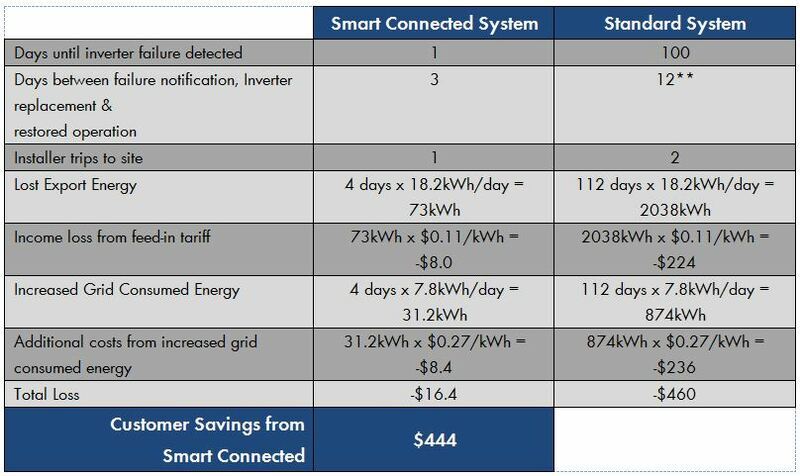 This is where Smart Connected really starts to save the system owner money! Because most solar system owners do not actively monitor their system, they typically only know if something has gone wrong when they get their next electricity bill and find they have higher grid charges. So for the standard system, it might take up to 100 days when they get their next bill to realise their system has not been working. But because the Smart Connected system is actively monitored by SMA, it will be back up and running normally in approximately 5 days. The other advantage for an installer is that the Smart Connected service means they will only need to travel to site once, further reducing any potential costs to the end customer. So how much does the Smart Connected system save their customer? ** Installer needs to travel to site once to establish cause of problem, and then return to site after obtaining a replacement inverter. Smart Connected can save a system owner many hundreds of dollars. And the best part is it comes free with your new Sunny Boy giving you just another reason to choose a SMA when you make an investment in solar. Smart Connected will also be a part of the coming new member of the Sunny Tripower and Sunny Boy Storage family. NOTE: The example shown here is for illustrative purposes only, based on the assumptions outlined. Changes to these assumptions would change the projected outcome. https://www.sma-sunny.com/wp-content/uploads/2017/02/SunnyBoySmartConnected_-1.jpg 300 620 Scott Partlin /wp-content/themes/enfold-child/images/SMA-LOGO-Color_s-1.png Scott Partlin2017-10-25 14:36:392018-02-12 12:07:10What is the monetary value of Smart Connected?